Destination marketing a community is more complicated than marketing a specific business or organization. Community destination marketing organizations (DMOs) such as those I managed are intermediaries. They have no control over the communities they market requiring that a lot of time be spent cajoling stakeholder businesses, strategic partners and officials to align. Few, if any, of these stakeholders have any clue about marketing let alone sense of place, but usually they think they do, making alignment far more complicated than it may sound and a never-ending process. And you thought herding cats was difficult. Residents are the ultimate internal stakeholders for a DMO, especially those who are passionate about their community, but if they only knew that the greatest obstacles to marketing a community comes from those they assume would be the first to get on board. Workplace skills needed for community marketing range far beyond what people think of as marketing including analytics, project management, technology, strategy-making, critical thinking and organizational behavior, to name a handful. Also required is a working knowledge of areas such as archeology, history, physiography, consumer psychology, geology, financing, culture, ecosystems and authenticity. Just in the first 18 months after I retired more than five years ago in late 2009, skills needed in the workplace increased more than 400% from 178 to 924. This is also why experts see the future of higher education including periods of intensive competency-based education and re-education while in the workforce, something my last organization began to provide to staff with an online program in 2005. Each employee was able to take up to 20 courses annually selecting from over 3,000 titles, each followed by an online test to demonstrate competency. But supervisors and direct reports selected some courses in support of specific roles that could be taken during the workday. The inability to adapt to this need for competency-based workplace education is what led disruptive innovation guru Dr. Clayton Christensen a few years ago to predict that within 15 years, half of the universities and colleges in America could be in bankruptcy. He didn’t mean that the need for traditional higher education will decline but that the way it will be accessed is rapidly shifting in a way that may leave thousands of smaller colleges as well as many state institution behind. A leader in this movement to competency-based education for students already in the workforce is Westminster College, a few blocks from where my daughter and grandsons live. Another is Southern New Hampshire University which redesigned its entire business administration program into modules that provide an innovative, competency-based, three year bachelor’s degree but this is all a topic for another essay. A litmus test I often used to quickly detect how much someone really knew about marketing a community is if they still lobbied for mass marketing such as traditional print, radio and television, dating them by at least three decades. Long ago, reaching just the right consumers right at the time when they wanted the information through tools such as search engine optimization and Google adwords transcended traditional advertising. Savvy marketers today understand that 20% of their efforts produce 80% of their results and similarly 20% of their customers or prospects represent 80% of their success. The fact that I came early to this awareness in my forty year career is due to listening to astute elders in destination marketing who understood how fast things were changing. The challenge in marketing is to cast more and more narrowly in order to zero in on the most likely and highly engaged prospects - without interrupting them - until they are seeking information to make a decision and it is clear your destination or product is what they want. Now, according to studies, marketers are investing in “retargeting” or re-engaging users who have already accessed content about a destination or product via an app or mobile website. Research shows that for every $1 invested in retargeting there is an incremental increase of $4 in sales. It works best when focused on prospects who are already engaged. A mistake many marketers make is viewing it as “missionary” work when at its very essence; it is more like gardening than hunting, more cultivating engagement than casting nets. For retargeting to work, you need engagement and that begins with great content that zeroes in on what marketing intelligence (research) has identified as traits of greatest appeal to a specific audience. Even more importantly, you must be willing to accept that your product isn’t for everyone and stop “yelling” to get attention such as with billboards. The key objective to content marketing, which began its transcendence three decades ago, is to provide something of value focused around differentiation. A form of retargeting can be seen in action when you leave a website to search another related to the same objective and an ad pops up with the opportunity to return to a deeper link on the earlier site. 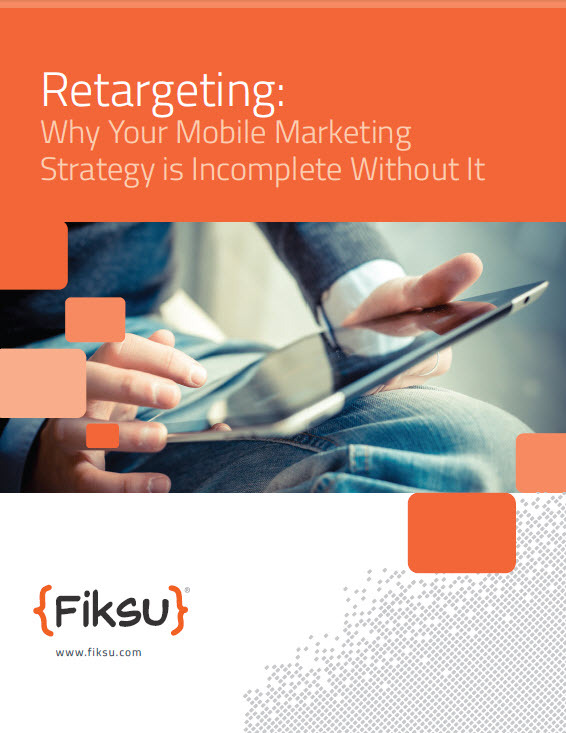 The percentage of marketers overall that spend up to 50% on retargeting has doubled in the last year. Nearly three-quarters (71%) of marketers spend between 10 to 50% of their digital marketing budgets on retargeting. As marketing has been for more than three decades now, segmentation of those who access marketing content is at the core of retargeting. Retargeting will be more of a challenge for community marketing organizations (DMOs) because they are intermediaries. The actual transactions take place with stakeholder businesses and organizations but it can be done. As one chief marketing officer, Adam Berke, noted recently, marketing placement has evolved from “guess and check” to real-time programmatic campaigns that leverage engagement to ROI. Also certain is that as much as I appear to keep up with destination marketing since retirement, I became a “dinosaur” the day I walked out the door. The same can be said for today’s college graduates. A degree is just the beginning of a lifetime of learning.